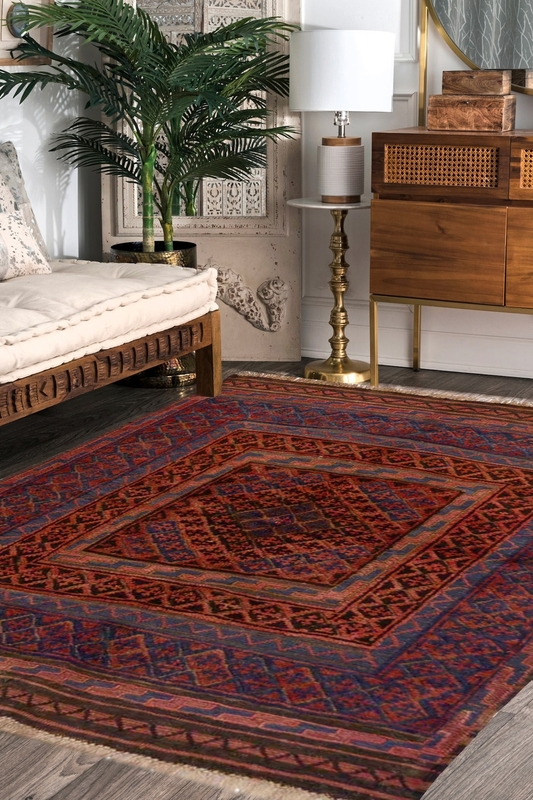 - This faded tribal flat woven kilim is one of a kind and has a rustic look. - Adorn your space with this flat woven kilim. - The design has an Eastern European influence design pattern and the material used is 100% wool. - The main colors are brown, dark blue and rust. - The center of the rug has a dual layered border and the outer periphery has a simple pattern. space it is placed in. Perfect for high traffic areas. We try our best to display the most exact images. Please note that lengths and widths may slightly vary from published dimensions although we strive to provide the most accurate measurements possible. There might be a slight difference in color between the actual product and your screen due to difference in computer monitors.